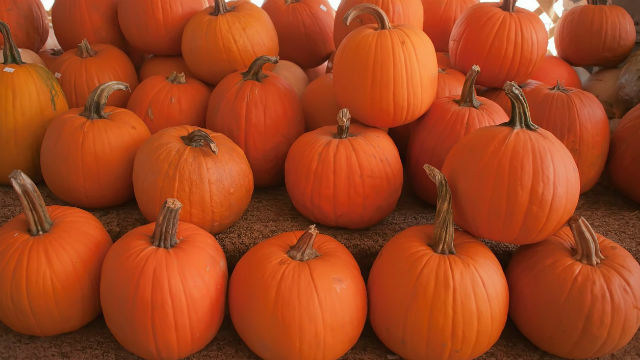 The Oceanside Public Library invites families to its annual Pumpkin Patch Storytimes. There will be Pumpkin Patch Storytimes held on Friday, Oct. 26, at 10:30 a.m. (English) and 11:30 a.m. (Spanish), at the Mission Branch Library, located at 3861-B Mission Avenue, and on Monday, Oct. 29 at 6 p.m., and Tuesday, Oct. 30 at 10:30 a.m., at the Civic Center Library, 330 North Coast Highway. These special festive storytimes will include non-scary Halloween stories, silly songs, and a costume parade. All Pumpkin Patch Storytimes are free and are geared for children 7 years old and younger. Children are welcome to come dressed in costume. This program is sponsored by the Friends of the Oceanside Public Library. For more information about the library, visit the website at www.oceansidepubliclibrary.org, and, for more information about the Pumpkin Patch Storytime events, please call the Civic Center Library at (760) 435-5600.